Known as “America’s Largest Open House,” Virginia’s Historic Garden Week features over 29 tours across the state and comes to Lynchburg Tuesday, April 30, from 10 a.m. to 5 p.m. Experience 200 years of history in scenic Lynchburg and the surrounding counties. Stroll through the gardens, orchards and grounds of three unique properties on Fox Hill Road. 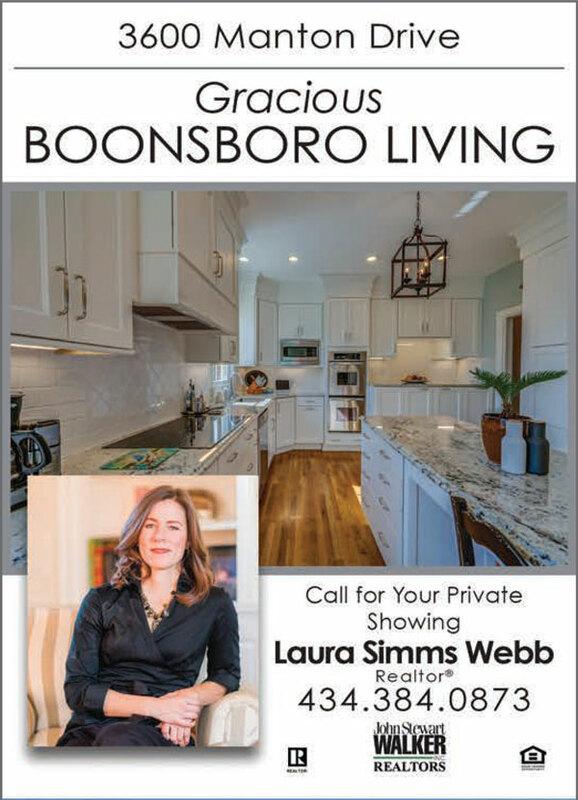 Visit a unique downtown loft downtown on Lynchburg’s Bluffwalk and take a quick jaunt to Sweet Briar’s newly renovated President’s home. 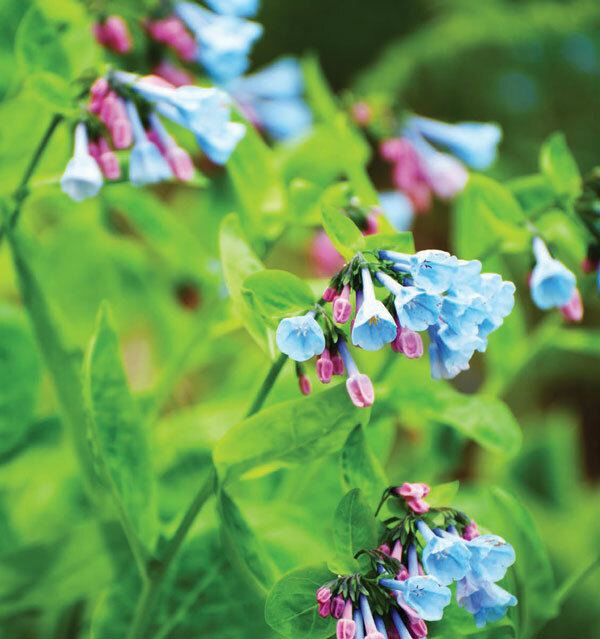 Historic Garden Day is hosted by Lynchburg Garden Club and Hillside Garden Club. Tour headquarters will be Oakwood Country Club, at 3409 Rivermont Avenue. Tickets are available for purchase in advance, or on the day of the event and luncheon boxes are available by prepaid reservation. Ticket holders will also receive free admission to seven area places of interest. For complete information on tickets, luncheon boxes and the most current schedule of events, please visit vagardenweek.org. This Federal-style house was built in 1822 in Halifax County. It was later dismantled and moved to Fox Hill Road by its current owners and is on the National Register of Historic Places and Virginia Landmarks Register. All original rooms were left intact, though some of the interiors were modified to accommodate the needs of a modern family. Visitors are welcomed by English boxwoods and a grand portico. All doors have been grained in mahogany and tiger maple like the originals. Color schemes and finishes were matched by elaborate paint analysis of the original woodwork. The entrance hall is papered with a pattern that dates to 1790; it depicts a patriotic scene known as “4 July 1776.” Also featured is a painted floor cloth by John Kraus inspired by the graining patterns of the house. All mantels are from the original home except for the replica in the parlor. Behind the house, a formal garden features dwarf boxwoods and chestnut roses. Outbuildings include a privy, well and smokehouse, as well as a summer kitchen with brickwork done by masons from Monticello. Dr. Stephanie Sullivan and Dr. Robert Sullivan, Jr., owners. This 1970s house was acquired by its owners when they added 20 acres to their existing property. The house features a large central room with vaulted ceilings, wide-plank pine floors and a large stone fireplace. 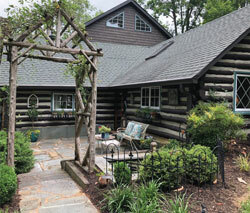 To make the house appear more rustic, the owners enlisted Colin Anderson to create a log-cabin façade for the house’s interior and exterior. A large chandelier made from 98 whitetail deer antler sheds is a focal attraction, along with taxidermy specimens native to Virginia including buffalo, elk, whitetail deer and mountain lion. A tavern cage bar anchors the main room inspired by an historic tavern in Alexandria, Virginia. Outside, the front porch affords views of the grounds and outbuildings. 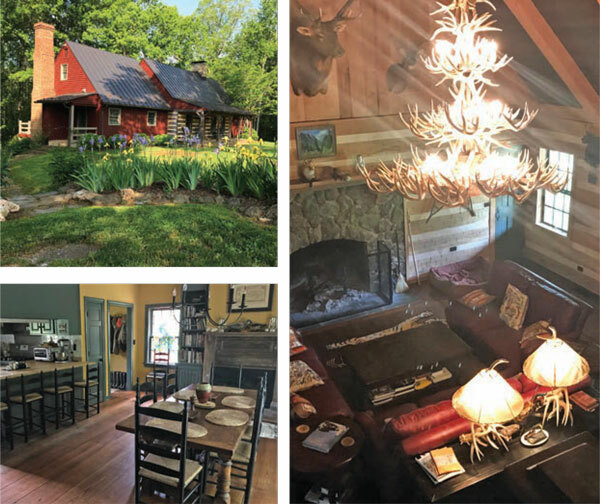 A place of relaxation and solitude, the cabin is a favorite weekend retreat, located just a short walk from the more formal main house next door. Situated on a bluff overlooking the James River, this authentic log cabin was constructed in 1938 by neighbors during a weekend barn raising. The original structure, built as a hunting lodge, comprised one large great room, with a loft above and another small room below. A kitchen, three bedrooms and two bathrooms were later added. The current owners completed a third addition in 2015. The cabin is decorated with a blend of antiques and rustic American pieces. Of special interest are handcarved ducks and a painting of an old tavern at Salt Creek near Elon by the owner’s brother. Behind the cabin and overlooking the river are the owner’s vegetable and herb gardens. The landscaping of the property uses deerresistant plantings such as boxwood, hellebores, laurels, St. John’s wort, daffodils and ornamental grasses. A smaller cabin on the property is often used for family and guests and is also open for the tour; the rugs and carved wooden objects within are from Poland and were gifts to Dr. Eppes from his aunt. Dr. and Mrs. Thomas W. Eppes, Jr., owners. This stylish loft is located in a downtown building built in the 1800s as a wagon factory, which later served as the Eastern Electric Company. The current owners gutted and redesigned the building as a Mexican hacienda. Perched atop Bootleggers Restaurant, the loft overlooks Lynchburg’s Lower Bluffwalk, a pedestrian walkway offering stunning views of the James River and Blue Ridge beyond. 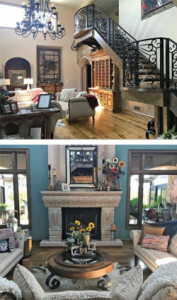 The home’s metalwork, staircase railings and master bedroom grates were custom-made in Mexico from designs drawn by the owners. The trompe l’oeil paintings in the powder room and living area are the work of Mrs. Borel, as are the bathroom vanities. All cabinetry was built in and shipped from Mexico. Of special interest are the exterior copper awnings, kitchen hood and island, all hand-made by an elderly Mexican artist who begins his process by sketching his creations onto a dirt floor; he also produced all the home’s ironwork. The living room coffee table was made from a railroad casting found during construction when the owners cleared the property. The owners take particular delight in their view of the trains, river and ever-expanding activity of downtown Lynchburg. Mr. and Mrs. Mark Borel, owners. Nestled on the campus of Sweet Briar College, this has been home to the college’s presidents since 1906 and was designated a Virginia Landmark in the 1970s; it also is listed on the National Register of Historic Places. The original farmhouse was built in the 1790s and was purchased in 1830 by Elijah Fletcher, a schoolteacher from Vermont. Called “Sweetbrier” for the wild roses on the property, it was enlarged in 1851 with the addition of tower wings inspired by Italianate architecture experienced by the Fletchers in Europe and furnished with pieces purchased in New York and Philadelphia. After Elijah’s death in 1858, his daughters Indiana and Elizabeth inherited the home; by 1860, Indiana was its sole owner and renamed the plantation “Sweet Briar.” When she died, she left the house and all its land for establishment of a college for women. The college’s first president Mary K. Benedict used Sweet Briar House as her residence as does the current president. The home’s interior, recently and exquisitely restored with the assistance of the Richmond-based design firm of Glavé & Holmes, is filled with furnishings original to the house. It is surrounded by gardens that were restored by the Garden Club of Virginia. This Queen Anne-style house, a National Register landmark, was the home of noted Harlem Renaissance poet Anne Spencer (1889-1975). The interior and furnishings are unchanged from the 73 years the Spencer family lived there. Many nationally known Harlem Renaissance visitors, civil rights leaders and prominent African Americans were guests of the Spencers through the years. Anne loved both poetry and gardening. Her husband, Edward, crafted a garden for her and garden cottage named “Edankraal.” The garden is divided into enchanting “rooms” by a wisteria pergola and grape arbor. Edankraal was a retreat for Anne and a source of inspiration for many of her poems. Beginning in 1983, the garden was restored to its 1937 appearance by Hillside Garden Club, which continues its routine maintenance. The garden has twice won the Common Wealth Award from the Garden Club of Virginia. annespencermuseum.com. Lynchburg’s only remaining 18th-century townhouse was originally located downtown and moved to Riverside Park in 1936. The garden was designed by noted landscape architect Charles F. Gillette and is typical of the period. The gardens are a project of the Lynchburg Garden Club and a 2012 winner of the Common Wealth Award given by the Garden Club of Virginia. lynchburghistoricalfoundation.org/millerclaytor. History and horticulture abound in this restored public cemetery, established in 1806. The entrance gatehouse was a Garden Club of Virginia Common Wealth Award project. There is a Confederate section with more than 2,200 graves of soldiers from 14 states. Five small museums are located on the grounds. Described as a “grave garden,” the cemetery is an arboretum of historic plants with specimens botanically labeled, including more than 200 antique roses, medicinal herbs, a butterfly garden and pond, shrub garden, antique daffodils and hundreds of native and ornamental trees. The cemetery is a Virginia Historic Landmark on the National Register of Historic Places. gravegarden.org. Sited in Daniel’s Hill overlooking the James River, Point of Honor is a Virginia Historic Landmark, an example of Piedmont Federal architecture. Built in 1815 for Dr. George Cabell, the house is distinguished by its octagonal façade and finely crafted interior woodwork. Dr. Cabell (1766-1823) was a prominent Virginia surgeon and Patrick Henry’s close personal friend and physician. He married Sarah Winston, Patrick Henry’s cousin, in 1792. Inherited by William Lewis Cabell upon the death of his mother in 1826, the mansion was renovated in 1828. In 1830, Judge William Daniel inherited the property. 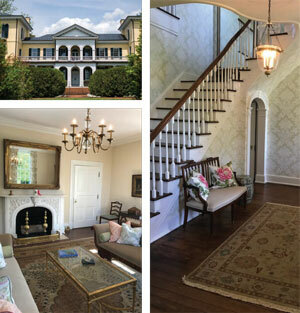 The mansion has been restored to its original appearance and furnished with period pieces. In 1977-78, with proceeds from Historic Garden Week, the Garden Club of Virginia began restoration of the grounds. pointofhonor.org. Built by Thomas Jefferson in 1809 as his retreat, Poplar Forest was one of only two houses he built. He visited it several times a year to manage the plantation, rest and spend time with his grandchildren. The design of the house is highly idealistic. Exterior walls form an equal-sided octagon. Inside, the space is divided into four elongated octagons surrounding a perfect 20-foot cube lit from a 16-foot skylight. In 2009, the exterior restoration was completed; the interior work continues. Jefferson integrated man-made and natural features into his landscape design for Poplar Forest. Additionally, he interpreted a five-part Palladian plan—a central structure flanked by two wings ending in pavilions—but substituted double rows of paper mulberry trees for the right wing and earthen mounds for the pavilions. Through the support of the Garden Club of Virginia, the historic landscape on the north side of the house is being transformed back to Mr. Jefferson’s original vision. poplarforest.org. Lynchburg Art Club, 1011 Rivermont Ave.